I think this is officially the end of my holiday coverage. It's been a busy season, but we made it. With Christmas mere days away, you've likely gotten all of your shopping done, but if you're still in need of inspiration, I've got a few more Lush goodies that are perfectly giftable. From stockings, hostess (or host) gifts, to last minute gift exchanges, you can never be too prepared. If there is only one season where it's appropriate to smother yourself is sparkly stuff as an adult, it has to be the holidays. Nails, makeup, hair, body, it all deserves a bit of shimmer. 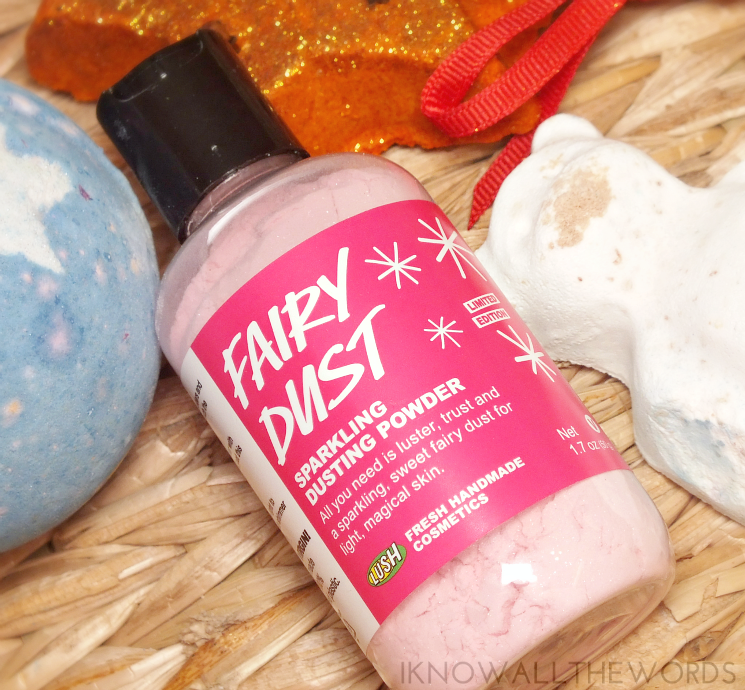 Lush agrees and has the perfect product with their Fairy Dust Sparking Dusting Powder. The pink powder is scented with the famous bubble gum and candy scent of Snow Fairy that not only scents skin, but leaves behind a soft silver shimmer. 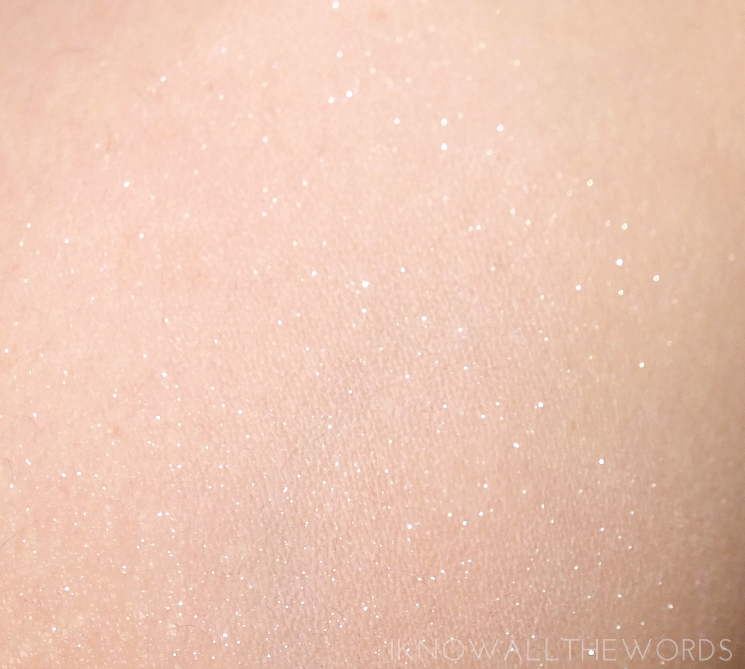 I've applied it heavily above to show the effect, but on skin, it's not crazy glittery, but subdued and very pretty. Tip: put a bit on a powder brush and dust in on hair for an extra bit of holiday shimmer. Set with hairspray to make it last all night. If you're feeling a bit Grinchy, or know someone who could use a bit of Christmas cheer, the Magic of Christmas Bubble Bar is a must have. 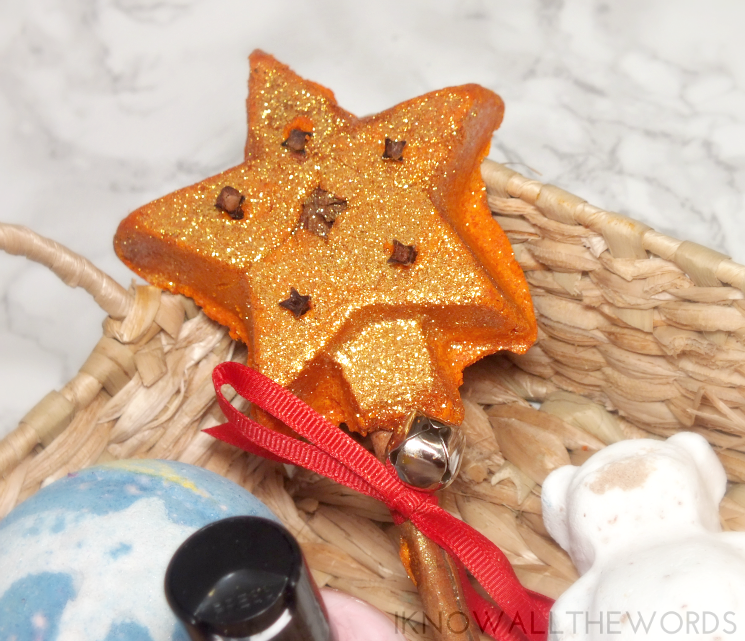 The star shaped wand features an incredible scent of cinnamon, orange, clove, and almond that is undeniably Christmas. The warm and spicy scent is completely soothing and sure to put you in the holiday mood. If you're really not feeling up to wrapping, or deciding which Lush products are best paired together, the wrapped gift selection is for you. Lush offers up a pretty large assortment of wrapped gifts with something at every price-point. 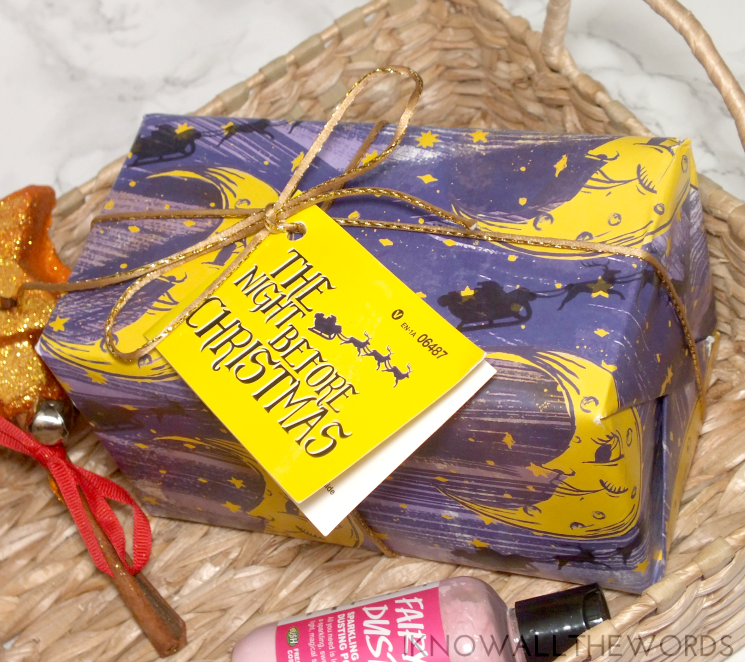 The wrapped gifts are not only cute, but they include Lush favourites in perfectly paired groupings. 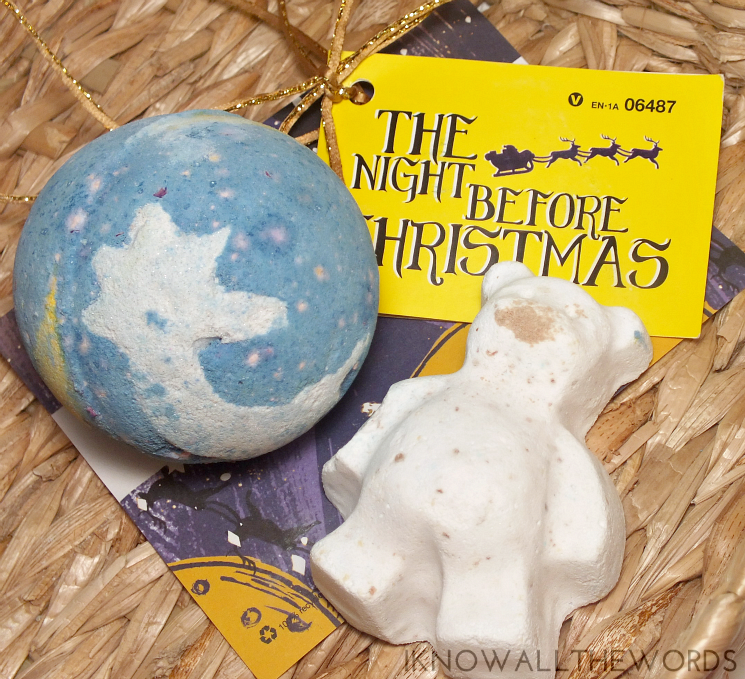 The Night Before Christmas includes a Butter Bear Bath Bomb (75 g) and Shoot for the Stars Bath Bomb (200 g). Te adorable little Butter Bear features a vanilla scent and a softening, conditioning formula, while Shoot For the Stars has a honeyed-orange scent and gives your bath a spacey colour show. 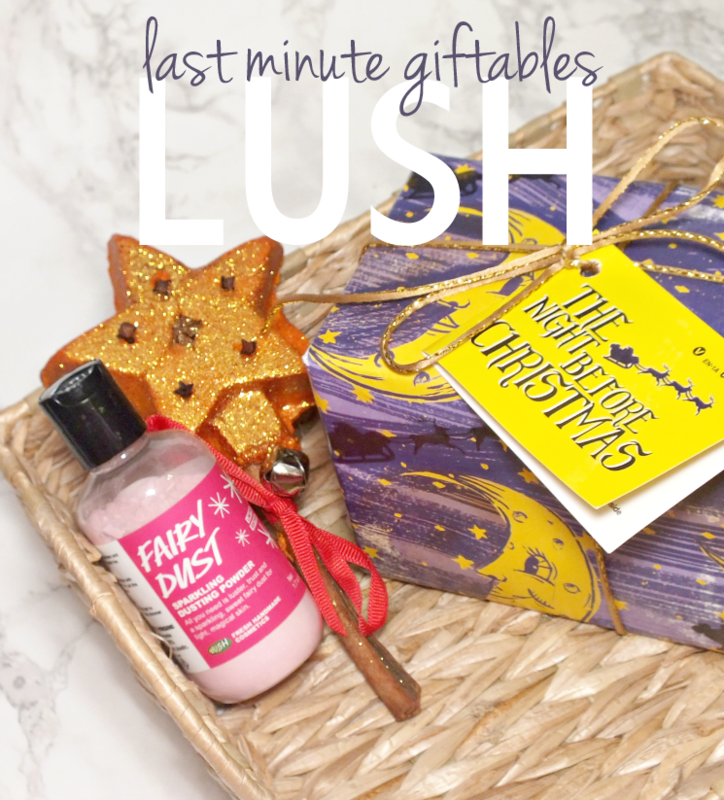 You don't have much time left, but Lush is an option for last minute bath fans on your list. Are you wishing for any Lush products this year? Tried any of these products?